Posted on 15, September 2016 by EuropaWire PR Editors | This entry was posted in Aviation & Aerospace, Education, Science, Technology, United Kingdom and tagged European Space Agency, Gaia, Gaia satellite, photometric data processing software, STFC, UK Space Agency. Bookmark the permalink. SWINDON, 15-Sep-2016 — /EuropaWire/ — The first results from the Gaia satellite, which is completing an unprecedented census of more than one billion stars in the Milky Way, are being released today to astronomers and the public. 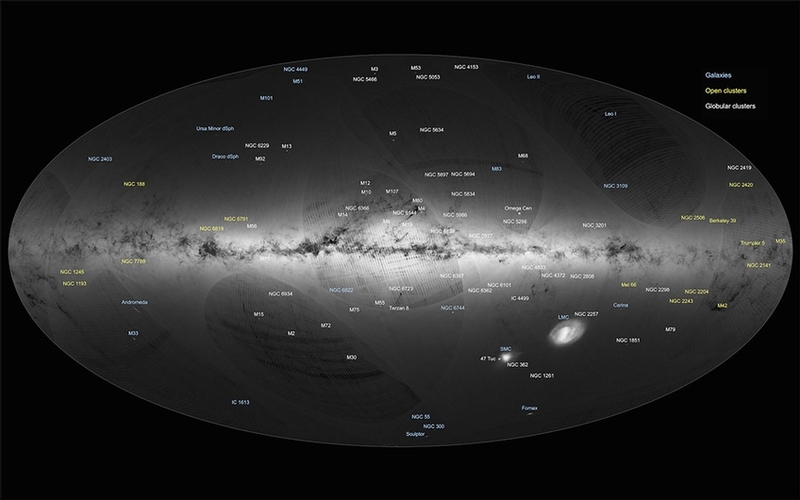 The release marks the first chance astronomers and the public have had to get their hands on the most detailed map ever made of the sky. Gaia, which orbits the sun at a distance of 1.5 million kilometres from the earth, was launched by the European Space Agency in December 2013 with the aim of observing a billion stars and revolutionising our understanding of the Milky Way. During its expected five-year lifespan, Gaia will observe each of a billion stars about 70 times. The unique mission is reliant on the work of teams at the Universities of Cambridge, Edinburgh, Leicester, Bristol, the Mullard Space Science Laboratory (MSSL) at UCL London and STFC’s Rutherford Appleton Laboratory, all of whom are contributing to the processing of the vast amounts of data from Gaia, in collaboration with industrial and academic partners from across Europe. STFC helped the set-up of the data applications centre for the project and STFC’s current support involves the UK exploitation of the scientific data that is now being yielded from the mission. The photometric data processing software to which STFC has contributed, as part of the UK-led team, is now offering the first opportunity ever to precisely measure the brightness of the billion objects that GAIA is observing, while contributions from the rest of Europe are charting the positions, distances and movements of those one billion stars. UK participation in the mission itself has been funded by the UK Space Agency and scientists and engineers from around the UK played key roles in the design and build of Gaia. While today marks the first major data release from Gaia, in the two years since its launch, the satellite has been producing scientific results in the form of Gaia Alerts. The range of Gaia’s discoveries from Science Alerts is large – supernovae of various types, cataclysmic variable stars, novae, flaring stars, gravitational microlensing events, active galactic nuclei and quasars, and many sources whose nature remains a mystery. Many of the Gaia Alerts found so far are bright enough to be observable with a small telescope. Amateur astronomers have taken images of supernovae found by Gaia, while schoolchildren have used robotic telescopes including the Faulkes Telescopes in Australia and Hawaii to do real science with transients. For the UK teams the future means providing improvements in the pre-processing of the data and extending the processing to cover the photometric Blue and Red prism data. Also data from the Radial Velocity Spectrometer, with major involvement from MSSL, will be included in future releases. The photometric science alerts will continue to operate throughout the mission, and summaries of the results will be included in future releases. The Cambridge Gaia team has also released a dedicated smartphone app, which will allow anyone worldwide to follow the Gaia Alerts discoveries as they happen. Real spacecraft data will be available to the world as soon as it is processed, with users able to follow the discoveries and see what they are. Information to access the app is available at the Gaia website. You can learn more about the Gaia mission at the ESA website. Access the data from Gaia’s first release.